Christopher Lee was a giant of the cinema in more ways than one. Of course, his 6’5” stature put him very literally head and shoulders above most other actors, but he was also one of only a few in the profession to achieve international fame through association with a particular role. Lee was one of my great childhood heroes. This was partly because I shared a first name with him, but also because he was the ultimate embodiment of one of my obsessions, namely Count Dracula. The very fact that I have chosen to paint him as he appeared in this role would probably have irritated him enormously, as he frequently expressed frustration at being associated with the vampire king, and could be scornful about the later Hammer films in particular. Bur despite this, he will always be Dracula to me, and to millions of film-goers the world over. The image of Lee striding through his castle, his eyes glowing red and his cloak billowing behind him will always thrill me. This entry was posted in Portraits, Uncategorized and tagged actor, actors, christopher lee, cinema, dracula, Hammer films, painting, portrait, vampire on March 16, 2016 by chrisjnayloractor. John Gielgud’s extraordinary 80-year career encompassed every possible style and form the acting world could offer, from the romantic Edwardian stage tradition in his earliest days as Romeo, Hamlet and Richard II, through the avant-garde at the Royal Court and the National in plays like ‘Home’ and ‘No Man’s Land’, to his fine cinema work in films such as ‘The Charge Of The Light Brigade’, ‘Providence’ and ‘The Elephant Man’. 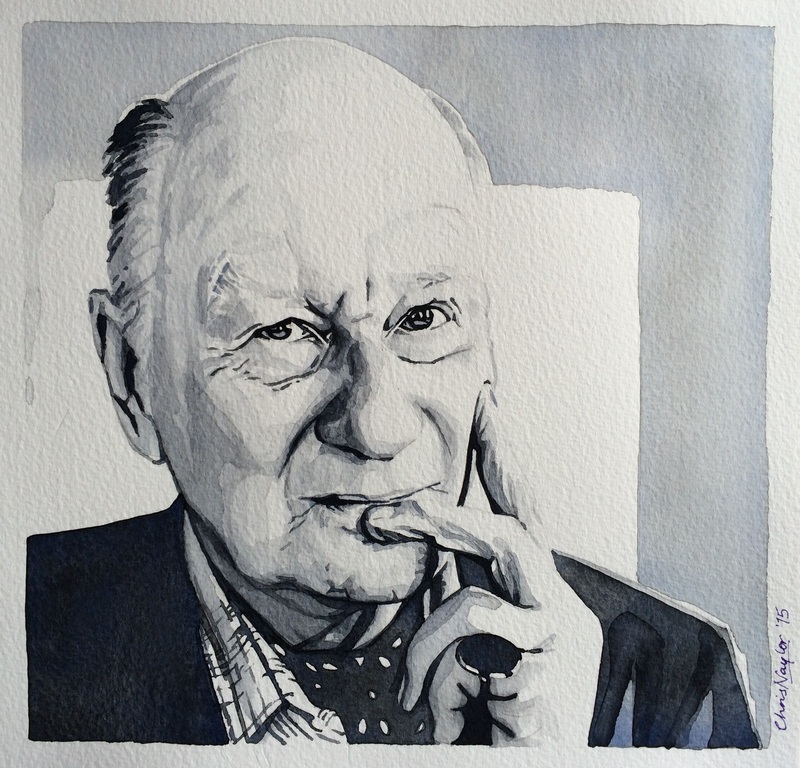 Gielgud was a magnificent actor, his work always subtle, intelligent and human. This entry was posted in Portraits and tagged avant-garde, hamlet, home, john gielgud, national theatre, no man's land, portrait, providence, richard II, romeo and juliet, royal court, the charge of the light brigade, the elephant man on August 12, 2015 by chrisjnayloractor.